Quixotic refers to a foolish or impractical person who pursues ideals that may be lofty or romantic. Quixotic is a Spanish word adopted into English and many other languages based on the book The Ingenious Gentleman Don Quixote of La Mancha which was published in two parts in 1605 and 1615 throughout Europe and the New World by Miguel de Cervantes. 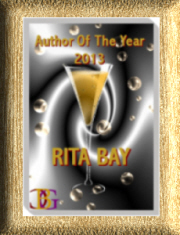 The novel’s hero, Alonso Quixano, creates an ideal world which he perceives as real. The older country gentleman immerses himself in books about chivalry, believing them to be true. 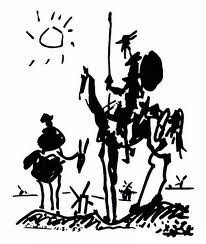 The self-styled “Don Quixote de la Mancha” embarks on his journey accompanied by neighbor Sancho Panza as his squire who buys into his imaginary world. 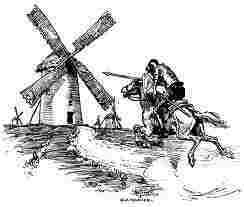 Quixote’s adventure include tilting with windmills which he believes to be giants, creating a farm girl into princess, and run-ins with various villains and interesting people which, to him, become chivalrous quests. Quixote and Panza usually become victims of abuse, humiliation, and practical jokes, especially when they intervene violently into other people’s business. Eventually, Quixote returns home and to reality while Panza maintains his faith in the fantasy world. Quixote has been featured in films, plays and ballet. The artist Pablo Picasso memorialized Quixote in the famous drawing pictured top left.